Mark Blum served his country for eight years in the Air Force. When he left the military, he had high hopes the skills he learned as a logistical advisor would help him land a new career in civilian life. Instead, he says, he was taken in by an elaborate online employment scheme that has financially ruined him. Blum posted his profile on LinkedIn, which led to an email from a woman identifying herself as Betty Blake from Blue Line Network. “The very first contact with me was, 'We’re looking to hire ex-military people because of their attention to detail,”' Blum said. The email said Blue Line Network was interested in Blum joining their team as a project manager, a job that would pay $70,000 a year. “This job was an opportunity to get more pay and advance myself in my career,” Blum said. He checked out the company’s website, which claims to specialize in global shipping and logistics. The homepage advertised that it was hiring and was offering exceptional career and development opportunities. While that looked interesting to Blum, what really sold him was the constant contact with Betty Blake and Thomas Wilson over a five-week period, which included emails, phone calls and a face-to-face interview. Blum kept all the email correspondence from Betty Blake and Thomas Wilson. Unlike in most internet scams, there were no obvious typos or grammatical errors in the emails. In addition to the emails, Blum received training manuals and took weekly tests, adding to what he thought was part of the job application process. Blum says in the third week of training for the full-time job, Blue Line offered him a side job to earn $300 a week. All he had to do was use his credit card to buy computer equipment and ship it overseas, but the company assured him it would fund his account first. The company said it would authorize Blum to transfer funds from its account to pre-pay his credit card accounts. When those funds cleared, all he had to do was use his credit cards to buy Apple computers and ship them overseas. The problem was, as soon as Blum made the purchases and shipped the goods, the funds from Blue Line disappeared, leaving him responsible for $32,054 in credit card charges. He can't track down his contacts at Blue Line, and he has filed a police report and a complaint with the FBI. “I’m one step away from bankruptcy because of this situation,” Blum said. We asked Blum’s credit card companies, Bank of America and USAA about their policies, and why he was told the money was in his account. California Deputy Attorney General Ralph Sivilla says this particular crime is exploiting the time it takes banks to process payments and transfers. California’s cyber task force is now investigating Blum’s case, but so far, they have not heard of any other complaints involving Blue Line Network. NBC Bay Area’s Investigative Unit called the numbers on Blue Line’s website, which were the same numbers given to Blum. The lines are now disconnected, and no one from the company, registered in Ukraine, returned our emails. 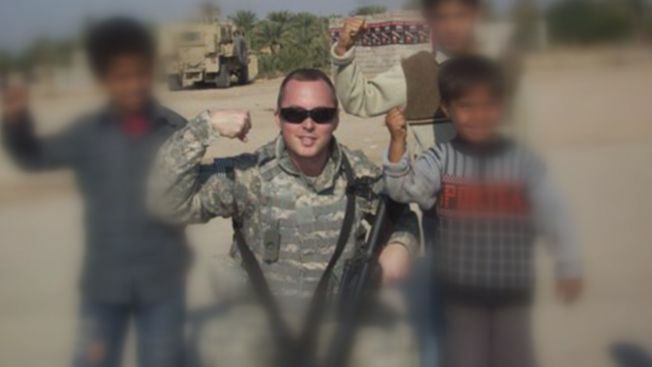 Veterans are especially vulnerable to online job scams because they have been out of work, out of the country and out of touch with civilian life, according to Sara Menke, the CEO of Bay Area recruiting firm Premier Staffing. She recommends that vets and anyone making a major career transition use a recruiter to help spot bogus jobs. “We are that go-between. We vet this out, and we act as a safety net on behalf of the candidate,” Menke said. As for Blum, he has a new temporary job, installing appliances and saving to pay off his credit card bills. “I just don’t want anyone else to go through this, especially fellow veterans,” Blum said. Use a site like glassdoor.com to do a background check on the company and see reviews. Use whois.com and enter the company’s website/URL to see who it is registered to, where it is registered, and whether the names on the registration are associated with the company. Steer clear of any company that offers to transfer money into your account. Never pay anyone to get a job.